DEAR JERRY: When I was a little girl, in the early 1960s, my father used to clown around and sing a silly song he said was inspired by when he and my mother were courting, approximately 10 years earlier. My mom, Margie, came from a large family, and apparently was rarely able to be alone with dad until they were married. What I remember most about the song is "She brings her father, her mother, her sister and her brother. She brings her uncles and cousins, she's got 'em by the dozens, oh I never see Margie alone." It would complete this wonderful memory if I could get this tune on a CD, but I don't know where to begin. DEAR KATE: Being married to a Margie made it much easier for your dad to customize this clever ditty, which is actually titled "I Never See Maggie Alone." The song goes back to the Roaring '20s, when first popularized by Irving Aaronson and His Commanders with vocal refrain by Phil Saxe (Victor 20473). When that single came out, in 1927, Victor indicated "Crazy Words - Crazy Tune (Vo-Do-De-O)" as the A-side, but, of the two, "I Never See Maggie Alone" definitely became America's favorite. More than likely the version your father personalized, and the best known one, is by Kenny Roberts. His 1949 waxing (Coral 64012) made the Top 10 on both the pop and the country charts. Coincidentally, in 1964, a time when Little Kate was very much in the picture, Kenny's "I Never See Maggie Alone" was reissued (King 5911). 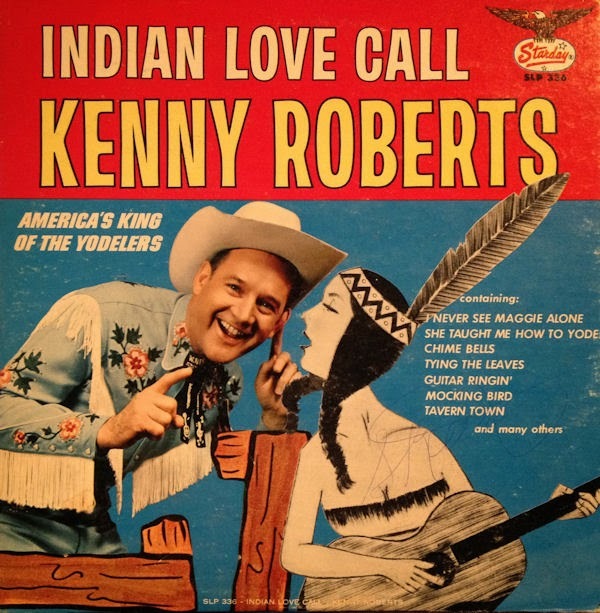 An inexpensive and easily available CD containing this track is "Kenny Roberts - Indian Love Call" (Starday SD-0575-2). Amazon.com has it right now for about $10. Whether you get it on this CD or another, I know that every time you play "I Never See Maggie Alone," to you it will always be "I Never See Margie Alone." DEAR JERRY: Many times I have seen how your answer to one person's question triggers another reader's question. Such is the case with me and your recent coverage of Herb Alpert being the only person with both a No. 1 instrumental and a No. 1 vocal. Now how about the flip side, so to speak. Who is the highest ranking vinyl era vocalist, in say the Top 20 or 30, that is primarily known as a singer, but who unexpectedly made at least one sizable instrumental hit? DEAR ARCHIE: Many great singers are or were also excellent instrumentalists, and here are a few that I have worked with who could really do it all: Wayne Newton; Roy Orbison; Barbara Mandrell; Hank Thompson; Carl Perkins; Roy Clark; Jerry Reed; Hank Snow; Chuck Berry; Bobby Goldsboro; Del Shannon; and Hank Williams Jr. Each of these stars could be counted on to display their musicianship during their concerts. However, being ranked among the Top 20 artists and having a "sizable instrumental hit" trims the field considerably. Therefore, at the top of my list in this atypical category is Stevie Wonder. With Little Stevie, we discovered his harmonica skills in 1963 with his first hit, "Fingertips," but five years later we were surprisingly treated to a marvelous harmonica-led instrumental of Burt Bacharach and Hal David's "Alfie" (Gordy 7076). Originally a big vocal hit by Cher, who sang it in the 1966 film of the same title, then the following year (1967) Dionne Warwick also had great success with "Alfie," as her collaboration with Bacharach-David continued to flourish. 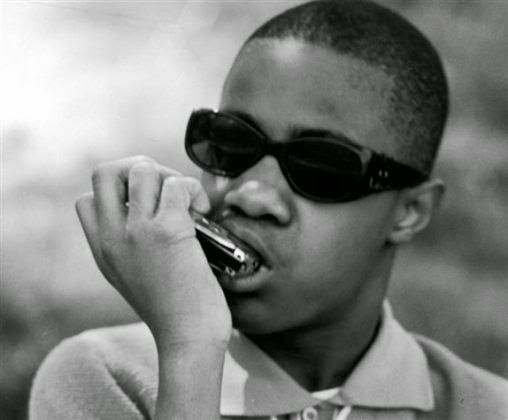 When Stevie Wonder's 1968 instrumental reached the charts, "Alfie" became a hit record in three consecutive years, by three different artists. As a gimmick of sorts, the performer credited on the Gordy record reads EIVETS REDNOW. Decoding that name should not take you too long. Deserving honorable mention here are two more of the all-time Top 20 singles artists: James Brown and Ray Charles. Brown has dozens of vinyl era hits to his credit, nearly all being vocals to some extent — including a few with non-lyrical shouts, grunts, and groans. Still, he and the James Brown Band did score with some bona fide instrumentals, namely "Try Me" (1965); "Soul Pride" (1969); and "The Popcorn" (1969). Instrumentals make up less than two percent of Ray Charles' many singles hits, and they are "Rockhouse" (1958) and "One Mint Julep" (1961). IZ ZAT SO? References to the "vinyl era" today reminds me that someone recently asked exactly what we mean by that, particularly since vinyl records are still being made. Vinyl production is definitely alive and well (even I am producing a vinyl-only LP this month); however, when we mention the vinyl era, it refers to the years when vinyl (including polystyrene) records were the dominant audio media. We know other formats made a splash along the way, such as four decades of tape types (reel-to-reel, 8-track, cassette), and the compact discs that were introduced in the mid-'80s. Regardless, from 1948 through 1989 vinyl was still king. All of which means we regard 1990 as the beginning of the digital era. Final thought: It sure seems odd when I hear someone with a new song in the form of an audio file (MP3) say "Please download my new record … we're really selling a lot of records."